With space a premium commodity, a storage room full of paper was a luxury the City of Denton, Texas couldn’t afford. But that’s what city staff was facing in late 1999. The city’s human resources department had 15 lateral 5-drawer file cabinets, filled to overflowing, crammed into 300 square feet of space. Even worse than sacrificing the storage space was trying to comb the files for information. Staff was losing valuable time searching for documents, making copies, routing information and returning it to the original files, not to mention trying to locate documents that were misfiled or yet-to-be filed. “One of the major issues was finding documents. So many times a file had been pulled and we couldn’t find it,” says Technology Services Manager Mary Collins. That just wasn’t good enough for this county seat that includes leadership, innovation and outstanding service in its mission statement. To solve the problem, Denton staff began searching for a digital document management system. After a small, failed pilot project with another product, the city chose Laserfiche®. In 2000, Denton tested Laserfiche with a pilot program in the city manager’s and city attorney’s offices. In addition to the success the city experienced in accomplishing necessary tasks in those offices, the support Denton got from its reseller, DocuNav, made Laserfiche the city’s choice. With funding from a bond project, the city expanded the installation to other departments two years later. “We moved forward with some enhancements to the city manager’s office and expanded to HR and administration,” recalls Collins. When it comes to selecting candidates for employment, Denton’s integration of Laserfiche with its JD Edwards®(JDE) Human Resource Information Systems (HRIS) software has proved crucial. With a volume of nearly 8000 applications a year, the paper used to really pile up. Some applicants apply multiple times a year for various positions and each application is considered unique. With the paper system, HR might store 10 paper copies of the exact same application in 10 different folders. Some employees have been with the city for more than 30 years, and their files would be enormous. Copying them took up to two days and generated three times the paper of the original files. Security concerns dictate redacting portions of the files and the paper-based process was long, tedious and wasteful. Staff would copy the records, black out portions with a marker and make a second copy to completely black out the original text. With the goal of a paperless employee records system, HR integrated Laserfiche with its online application process and its Internet and intranet applications. 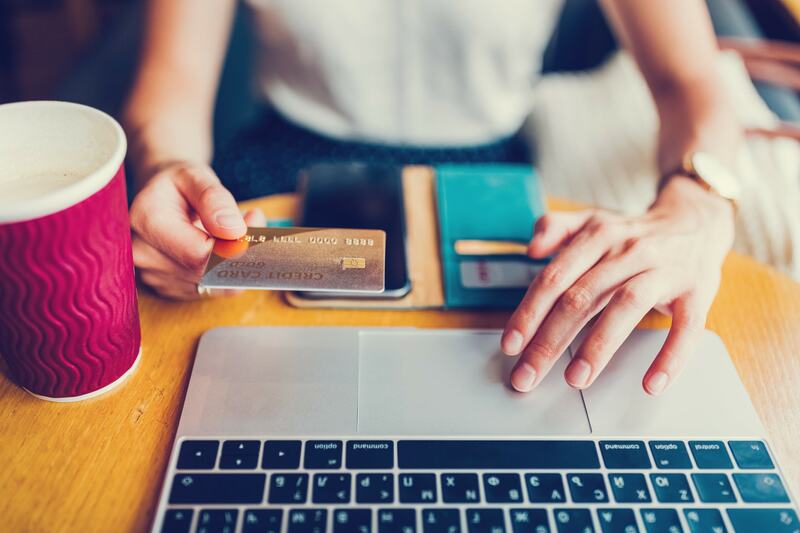 “The City of Denton has developed a user-friendly process that dramatically increased the human resources department’s effectiveness and efficiency. We now have an online job application process that includes the civil service exam registration,” notes Cavness. Jesse Perez, HR technician for selection and placement, explains, “Whenever there’s a vacancy, we enter the employee requisition into the HRIS system. We set up an appropriate folder in Laserfiche and that’s where all the images and the application are scanned. We use our customized application to retrieve all the information in JDE and populate the fields for the name, ID number and position and then put them in the only folder that the supervisor has assigned rights to. Each supervisor is assigned a unique login and password for access to the intranet.” Applicants can update their information as needed over the Web and while each application is still unique, the system can pull candidate information from what’s already stored in the system. Laserfiche has accelerated searching not only for files, but for information within files. Sometimes staff only knows a bit of information about an employee and that made searching through paper files difficult and tedious. Because Laserfiche is integrated with the city’s payroll software, city employees can now search remotely by name or employee ID number. Redaction capabilities have eliminated the previous, cumbersome process of manually blacking out and copying portions of the files. Laserfiche has saved city staff legwork as well as time. “As a city,” says Cavness, “we have buildings that are very, very widely spaced. Previously, supervisors might have to come all the way across town to look at paper applications. Being able to view applications from their desks is a tremendous time saver, not only for the supervisor, but for us, because it’s one less person who walks through the door and takes our attention from something else. Success with Laserfiche has not been limited to HR. The library uses it to track memorial donations and the fire department uses it for administration and inspections, as well as for the civil service files that they send back to HR. In addition, city staff has scanned map books and building footprints into Laserfiche and made them available on CD, so that firefighters can access them from their fire trucks. The city secretary’s office has scanned in thousands of documents, including city council minutes, ordinances and resolutions going back to the 1900’s, and cemetery records and abstracts from the 1800’s. Using Laserfiche, the tax department saved thousands of records, dating back to the 1950s, from being lost to aging due to deteriorating paper. 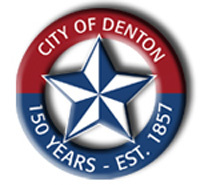 The City of Denton Engineering Department manages easements, ordinances, sewer and waterline camera videos, contracts, plats, as-builts, project files and a variety of other documents with Laserfiche. City workers access the documents over the Web. From the city’s intranet site, images are linked to other applications, such as their Geographic Information System (GIS), Cartegraph®. Field personnel onsite can use their laptops to view records or videos pertaining to a specific location onsite, enabling the engineering department to more easily share updated information with other city departments. Engineering also uses the Web to make information available to appraisers, developers, engineers, investors and surveyors, who have given the city a lot of positive feedback about the benefits of quick access to documents. The city uses Laserfiche in the municipal courts and utility departments, and looks forward to expanding Laserfiche use to the building inspection and police departments.